Today developers Cyberskunk and EvilSperm of Team Rebug have released an update to their latest CFW labeled LITE EDITION. This update has fixed the problems with installing package files on non-QA Flagged Playstation 3s. Please Note that backup manager currently do not work on firmware 4.41 and will need to be updated to get working. Check out the changelog and the download link provided below. Normally we would not release an entire cfw just for a minor bug but the nature of this one left some people in a state where they could not install a pkg file because they were not QA'd, while at the same time they could not QA because they could not install the pkg file.. This has been completely addressed and there is no more issues. It is recommended for everyone that has already installed 4.41.1 to install this new PUP just in case you deactivate your QA and leave yourself in the chicken/egg state explained above. Sorry for the inconvenience guys.. Enjoy..
By Downloading and Installing this custom Firmware you take full responsibility for your actions. 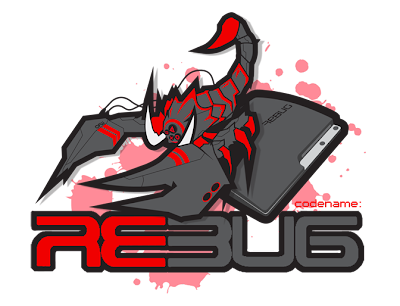 I nor Team Rebug will be found accountable for any damages related to installing this firmware.